Pasta (short, long and special shapes). Granular products (rice, cous cous, legumes, spices, coffee and more). Snacks (potato chips, dry fruits, cereals and more). Sweets and bakery products (cookies, candies, snacks, chocolates and more). Fresh and frozen products (fruit, vegetables, fi sh and meat and more). Non-food products (pet foods, detergents, seeds, gardening products and more). Altopack’s continuous growth and strength are the result of being able to meet customer’s demands and of the continuous investments in the field of research. 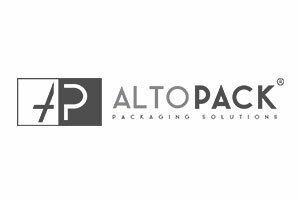 Altopack is now a consolidated reality worldwide, capable to propose solutions with innovative projects and state of the art technologies in order to reach excellent results.